Become a modern-day vehicle mogul with GURPS Vehicles Lite, the 64-page stripped-down version of our comprehensive GURPS Vehicles rules system. 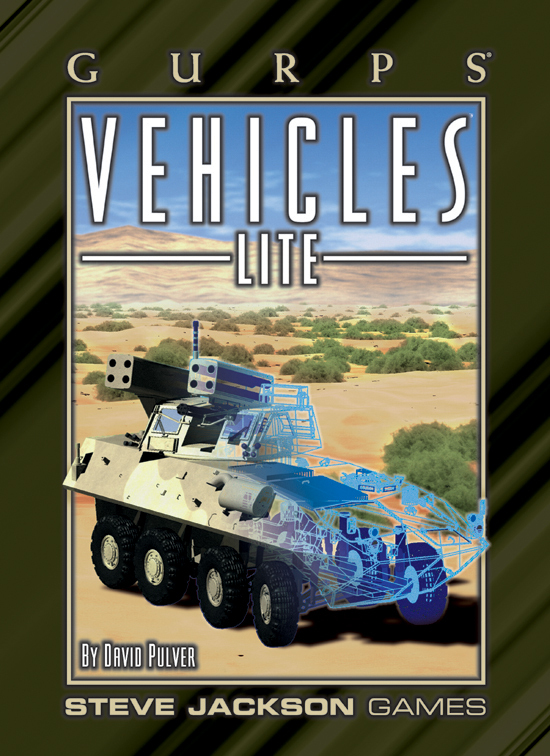 Vehicles Lite concentrates on modern-day land vehicles (both wheeled and tracked) and helicopters, so the system is more accessible while still letting you build the most common (and most widely used) vehicles – cars, tanks, motorcycles, helicopters, trucks, and more! Put Detroit to shame with GURPS Vehicles Lite! 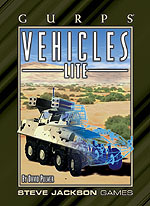 Vehicles Lite requires GURPS Basic Set, Third Edition. GURPS Vehicles Expansion 2 – Steampunk and anachronistic options by the truckload!